Did Duchess Kate Try To Use Surrogate To Conceive Royal Baby Again? Duchess Kate is rumored to secretly shop for IVF surrogate because she supposedly couldn’t get pregnant again due to the health problems. The Duchess of Cambridge never used the surrogate to conceive again. 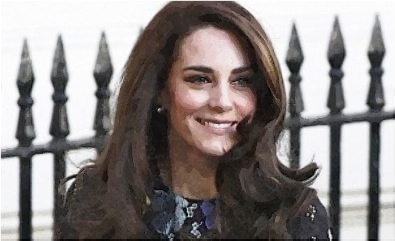 The brunette beauty did not convince her husband, Prince William, to choose vitro fertilization despite tabloid reports. One thing is true though, she previously had a severe morning sickness during the early stages of her two pregnancies. A Kensington Palace source reveals that the royal couple did not have the intention to use a surrogate. Duchess Kate is pregnant and the royal baby is due in April. Prince William already denied that they are expecting twins. As for the health issues, his wife still carry out her royal duties and attend official engagements.